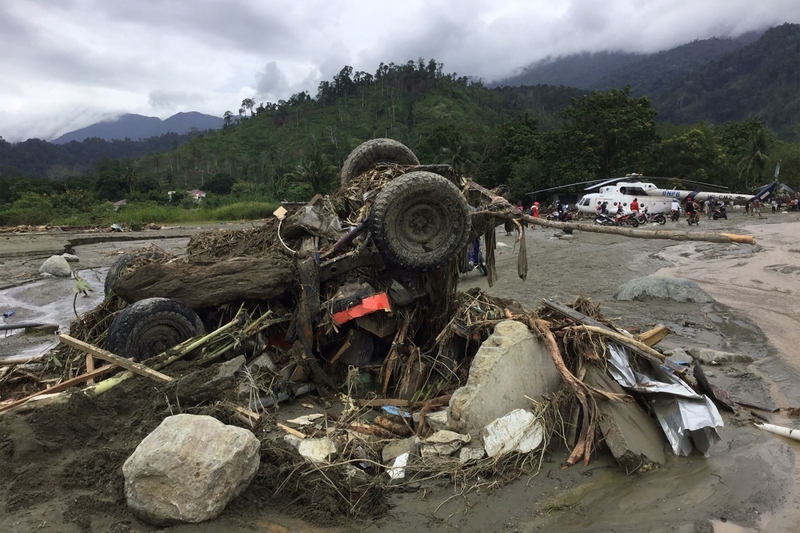 Flash floods in Indonesia's eastern Papua province have killed at least 58 people, an official said Sunday, as rescuers battled mud, rocks and fallen trees in the hunt for survivors. 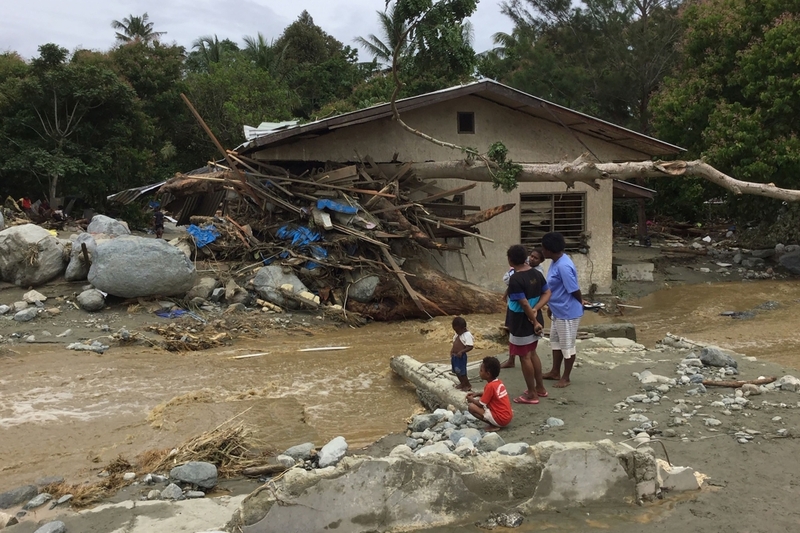 The floods - triggered by torrential rain and landslides on Saturday - damaged numerous homes in the northeastern town of Sentani, said national disaster agency spokesman Sutopo Purwo Nugroho. "The number of casualties and impact of the disaster will likely increase as search and rescue teams are still trying to reach other affected areas," he said. 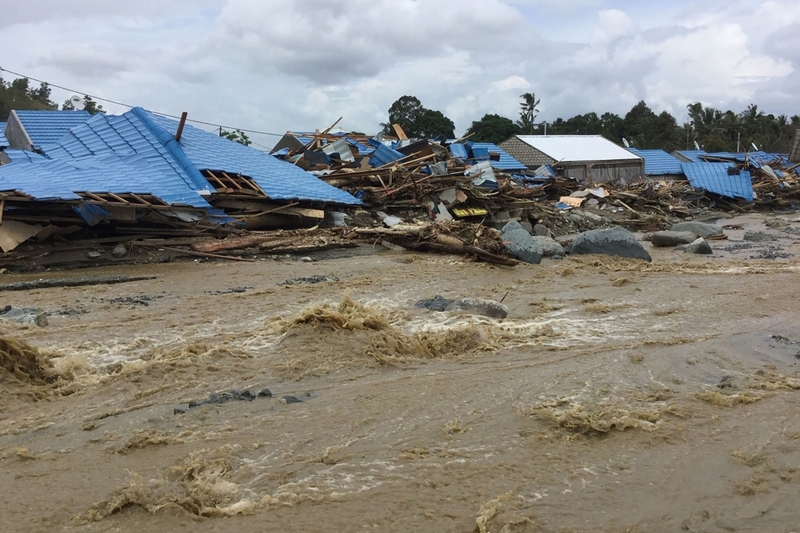 The waters had receded but officials were still trying to evacuate people from areas obstructed by "fallen trees, rocks, mud and other material", Nugroho added. In Doyo, one of the most affected areas, a housing complex was littered with huge rocks believed to have rolled down from a nearby mountain, an AFP reporter at the scene said. Sediment and waste swept by the floods piled up on the pavement. The non-stop wail of ambulance sirens could be heard, as heavy equipment was used to clear the roads. Video footage showed rescuers administering oxygen to a victim who appeared to be trapped beneath a fallen tree. Officers rescued a five-month-old baby who was trapped for hours under the rubble, Papua military spokesman Muhammad Aidi said. The whereabouts of the parents are unknown. 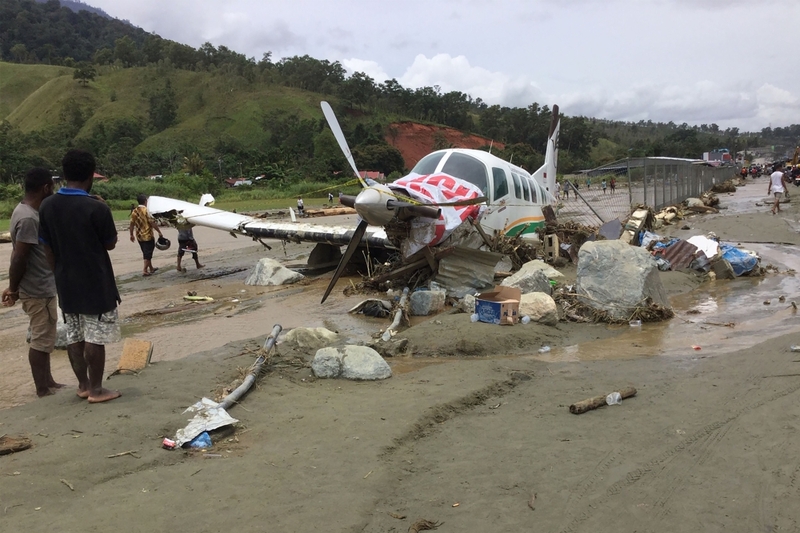 A propeller plane lay partly crushed on a runway at the airport of nearby provincial capital Jayapura. "It's hard to get out of the area because many roads are blocked... I'm worried, sad and scared all at once," she told AFP.